The End Of An Era: Are Uggs Over? 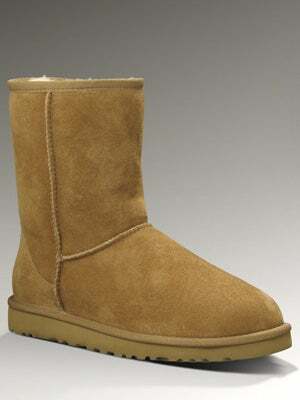 If there's one thing that can polarize even the most apathetic sorts, it's the Ugg boot. Love 'em or hate 'em — everybody's got something to say. Sadly, when it comes to making money, that whole "any press is good press" thing doesn't really apply. Ugg's sales are down 31%, and the company has plans to slash prices (the boots currently start at $135 and run upward of $200 for some styles). The brand has made numerous efforts to right the ship, including buying advertisement in a number of fashion publications to boost street cred and expanding the product line to include a variety of shoes, boots, coats, and more. And while an ad campaign featuring Tom Brady (and an unofficial endorsement from André Leon Talley) has boosted sales on the men's side, his influence still isn't enough to meet the bottom line. We've always sort of assumed that Uggs would hang on in some form or another for years to come. After all, even in NYC, you'll still see plenty of pairs stomping around rain or shine. They're like Juicy sweat suits — there's always a market. But maybe it's just not big enough. What do you think? Can Ugg hold on to the Saturday morning set for a while yet? Should it?